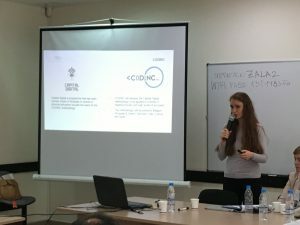 Codinc – Coding for Inclusion is the two-year European funded project led by ALL DIGITAL in partnership with 6 partner organisations from Belgium, Spain, Cyprus, Germany, and Italy was launched in February 2018. The project aims at fostering STEM education of disadvantaged youth through an inclusive educational approach based on a peer-learning pedagogical method for formal and non-formal educational contexts in Europe. Since the beginning of the project partners have, indeed, focused on this task and a new adapted Methodology and Training Toolkit is going to be published soon on the project website, which has been designed by Colectic, project partner and ALL DIGITAL Member from Spain. What do these documents actually represent for the project, you might ask? They are the core of the project! The Codinc Methodology outlines the pedagogical approach and the programme of study in terms of learning objectives and goals to be achieved, while the Codinc Training Toolkit contains the contents themselves of the study programme and the guidelines for teachers and students (secondary school students). Teachers and students will be, indeed, trained together on how they can teach coding and programming to the pupils (primary school students). That’s how the first ones become the e-facilitators of the second ones and within this lies the meaning of peer-learning method: students interacting with other students. It is common knowledge that it is an effective method as the students get really motivated to learn the basics of coding because they will have a specific role afterwards: transmit their knowledge to the younger pupils. They feel, in this way, equal to their teachers. Therefore, the Training Toolkit is important for students as well. It has been produced in English and it will be translated in different languages and adapted the local needs and materials in each country. 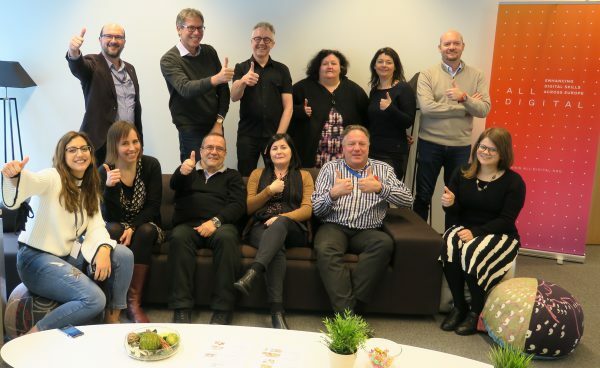 Project partners are looking forward to the next meeting and training in Barcelona, where trainers from each partner organisation will experience the Codinc Methodology to be able, then, to train teachers and students in their classrooms. The meeting and training will take place on 4-6 July 2018. We will have more updates about this exciting project then!